If you are like most parents, you blissfully kiss your kids good bye in the morning, wish them a good day in school and then concentrate on your own day ahead. Well that was me, it never occurred to me to think about what their lunchroom was like, nor did I ever, in a million years thought about the trash that was generated in that lunchroom. I was yanked into reality when I did an Earth Day project with my kids, cleaning up the woods. Upon finding a large piece of gnarly looking Styrofoam, clearly in the woods for ages, I launched into an explanation how bad Styrofoam is for the environment. My son interrupted me by piping up that in the lunchroom they used disposable Styrofoam trays. I was shocked. I went to the principal to get permission to survey the lunchroom and low and behold, every single day, the school with 1,064 kids generated a mountain of trash. 22 large garbage bags per lunch. I did an in-depth survey and realized that 90% of that garbage are fully recyclable materials, if they were just sorted out. Being a woman of action, I devised a recycling station and taught the kids to empty all of their drink and food containers and then sort them into the different recyclable categories, I found ways to recycle Styrofoam, zip lock bags, capri sun pouches and other previously deemed non recyclable materials. And – oh magic- once the recyclables were sorted out we had only 2 bags of garbage left, down from 22! Any good fairy tale would stop right here. I saved the world, complied with NY State recycling laws, reduced the cost associated with garbage by 90%, generated money to the county through the valuable recyclable materials and -best of all- created a generation of kids, that learned that their daily CAN make a lasting difference. Most people don’t think about garbage in the context of cost. But rest assured garbage is BIG BUSINESS and very expensive. It costs around $100.00 per ton to dispose of garbage, that does not include the labor, fuel or vehicle cost, just the mere dumping cost. Whereas the communities can dump the recyclables for free, and the County makes its money by sorting, baling and selling these materials back to industry for big money. Plastic Pet1-2 for example sell for $2500,00 per ton. So having the kids sort out their recyclables is a complete win win situation, no? We save money, we teach kids about sustainability and we save the environment on many different levels. However, change comes only with difficulties to the adults in this situation. Getting administration, custodians, parents and teachers on board is far more difficult then I would have ever thought. However, brick by brick, the kids will pave the way towards a better, more sustainable way of dealing with School lunch garbage. 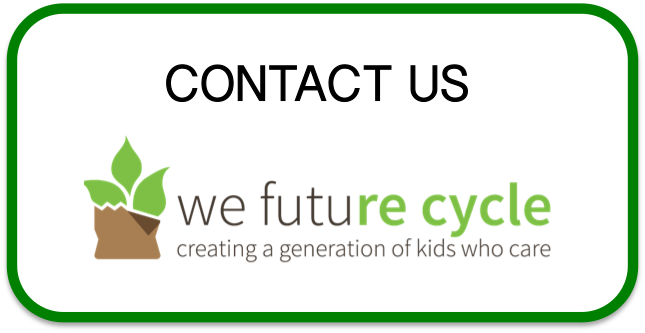 If you are interested in learning about how your school can implement this fabulous program, please contact Anna Giordano, at Schoollunchrecycling@gmail.com.